Jerry B. Jenkins took home the Lifetime Achievement Award Sunday afternoon at the Advanced Writers and Speakers Association (AWSA, awsa.com) 2014 Golden Scroll Awards. Jenkins, who also was keynote speaker, received a standing ovation at the event, one of many awards presentations at the International Christian Retail Show (ICRS) this year in Atlanta. In the Nonfiction Book of the Year category, Wounded Women of the Bible by Dena Dyer and Tina Samples (Kregel Publications) and Unexpected Love by Julie Zine Coleman (Thomas Nelson) tied for first. In Fiction, Eva Marie Everson’s Slow Moon Rising (Revell/Baker Publishing Group) tied for first place Novel of the Year with C.W. Shutter’s The Ohana (River Ranch Publishing). Abingdon Press was named Publisher of the Year, while Tyndale House Publishers’ Katara Patton was honored as Nonfiction Editor of the Year and Stephanie Boene for Fiction Editor of the Year. AWSA also recognized Arlene Pellicane as Member of the Year, and best-selling author Kathi Macias presented the Beyond Me award to Grace Fox for exemplifying the heart of Christ through her outreach. 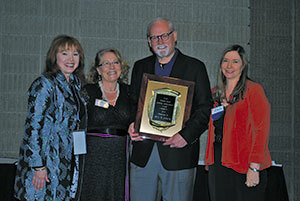 The Christian Authors Network (CAN, christianauthorsnetwork.com) also presented its awards during the AWSA event. The CAN Nonfiction Book of the Year first-place award went to Kathy Collard Miller for Partly Cloudy with Scattered Worries (Lighthouse Publishing of the Carolinas), and Ruchti picked up her second award of the day (after taking second place Golden Scroll for Nonfiction) as the CAN Novel of the Year first-place winner for All My Belongings (Abingdon Press). Author Cynthia Ruchti of the American Christian Fiction Writers (ACFW, acfw.com) announced the finalists in 11 Carol Awards categories. Carol Johnson, the pioneer editor for whom the award is named, opened the news conference. The group’s CEO, author Colleen Coble, announced Robin Lee Hatcher as the ACFW Lifetime Achievement Award recipient. The Carol Award winners will be presented during the 2014 ACFW National Conference in St. Louis at the Sept. 27 gala. The Association of Logos Bookstores (logosbookstores.com) presented its Book of the Year winners at a Saturday evening store event. Becky Gorczyca, executive director of the retail group, presented the awards. Color and creativity were two of the hottest trends in children’s products at the 2014 International Christian Retail Show in Atlanta. Children’s gift items are bright and bold this year, with CBA newcomer Stephen Joseph displaying backpacks and lunchboxes in primary reds and blues for boys and hot pink, orange and lime green among the colors for girls. Color and creativity were also on display at DaySpring, which is introducing more Crayola products, including Color Wonder and new Dry Erase, into the Christian market. Simon said that since the former emphasis on promoting STEM (Science, Technology, Engineering and Math) for children has been replaced by STEAM (Science, Technology, Engineering, Arts and Math), children’s products that encourage interactivity and imagination are engaging consumers. In that vein, Cactus Game Design is seeing success with its Apples to Apples Bible Edition and Cranium Bible Edition games, while Talicor just introduced The American Bible Challenge Board Game, based on the popular game show. Even some picture books have become interactive, with Zondervan’s Love Letters From God by Glenys Nellist (Sept. 9) outfitted with “envelopes” glued onto the pages filled with letters to the reader. In her workshop, Simon cited a CBA store survey in which retailers reported that children’s Bibles and Bible storybooks are the fastest-growing category of kids’ products. Simon said that Hollywood has helped to drive that trend, and with even more faith-based films planned for release this fall, the category should continue to grow. Zondervan introduced at ICRS its updated NIrV Adventure Bible for Early Readers, which now features full color and more pages that offer biblical insights, trivia and engaging elements. The hardcover design is also holographic. Simon encouraged retailers to host events in their stores—from tapping into nationally recognized designated days like Grandparents’ Day to hiding eggs with coupons or candy during the Easter season—because the children’s department is a natural fit for fun. Simon reminded retailers that today’s consumers are savvy researchers and are more likely to buy in-store if they have already learned about the item online, seen a video about it or heard other moms recommend it. She said retailers should ask suppliers for video clips they can use in-store and run on their websites in order to educate the consumer. Customers also are heading into brick-and-mortar Christian stores because of coupons, the CBA survey showed. Catalog, online and emailed coupons were redeemed frequently and kept consumers coming back. Although coupons are important, Simon also said that Nielsen data revealed consumers of children’s products are no longer looking for the lowest-priced children’s items. Today, parents and other customers of children’s items are looking for personalized products and gifts that best fit the occasion or need. From Fair Trade to Made-in-USA items, gift products have a broad reach, as could be seen at the International Christian Retail Show (ICRS). Traffic from countries such as China, Korea, Nigeria and New Zealand was high at Halle Joy, a Texas-based company known for its handbags. This year, however, the trend for the company is jewelry. Design Director Curtis Downs said the sterling silver program of carded pendant necklaces is what’s new this year. The pendants with a $25-$39 price point come on cards with scripture or inspirational sayings. There are also some mother-daughter sets, and “a lot of really feminine and dainty pieces in the sterling line,” Downs’ wife, Jara, told Christian Retailing. There were a number of apparel companies exhibiting as well, including Not of This World and Kerusso, which shared CBA’s Gift & Specialty Items booth award with Scripture Candy. Kerusso held its annual 3:16 event, which drew a crowd for products tossed into the crowd and giveaways from drawings. Two big prizes given were the Left Behind display with product and $500 cash. Along with new caps and “Cherished Girl” long-sleeve tees, Kerusso was highlighting its Left Behind movie-inspired products, including shirts, caps, stainless-steel tumblers and wristbands. Kevin Sumner’s company, 1Eighty Apparel, was at ICRS as an exhibitor for the first time but not with a big booth. Geni Hulsey invited Sumner to set up a booth in the Church Store Connection area. “It tends to be a better market for us because a lot of independent stores don’t understand a $20-or-higher-price point T-shirt,” Sumner said of church stores. Bringing his 25 years of retail experience to the show, he finds it “encouraging to see a lot of new apparel vendors, which means there’s more selection,” said Sumner, who also advised church stores to buy several brands, giving consumers more options. 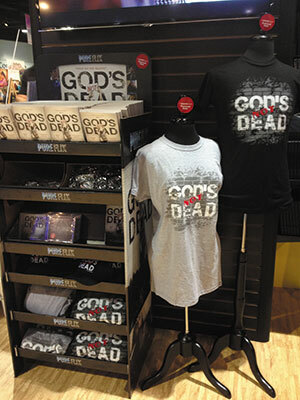 LifeWay Christian Stores and some larger church stores have been consistent with offering his product, and he plans to expand his reach through a distribution partner. One company had a daily fashion show at the Creative Pavilion stage on the show floor. Christians in Fashion presented the Cool Revival Runway Show where Christian designers showcased their collections. The fashion show featured the work of models, stylists and hair and makeup artists. Contributing to fashion was one of the more unusual gift products at ICRS, a museum-quality umbrella ($15.99) from Swanson Christian Products. The company had success with one last year and opted to bring out three new umbrella designs at a much lower price point than what would normally be seen in the general market. One clothing company, Saved by Grace, is dedicated to assisting homeless families in shelters across the nation. The company made a donation of 1,000 garments to Atlanta’s Buckhead Christian Ministry, the ministry CBA designated as the recipient of the ICRS 2014 offering. Saved by Grace recently launched the Grace for Two Project, which provides clothing to homeless families in shelters through a buy one, give one model. “This is a big show, and we are thrilled to provide our clothing line as an example for how Christian organizations can impact their local communities,” said co-founder of Saved by Grace and GF2P Lauren Breiding. There was “a sense of community” at the show, Halle Joy’s designer said, and Carpentree’s Sherry Morris agreed. Bob Perryman, senior director of product with DaySpring, said the new “Premium Collection” cards, which retail for $4.99 to $10.99 each, were “resonating pretty much across the board with all of our retailers.” Picking up on cues in the card industry, DaySpring opted to create high-end cards for special occasions, available this fall. Another unusual DaySpring line caters to middle-aged or older customers with a product range featuring journals and books. In addition, DaySpring was promoting its children’s products tied with the Crayola brand and its U-Neeks brand, which has a new app that is free for download. 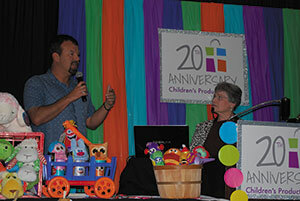 Lighthouse Christian Products, which was celebrating its three Christian Retailing’s Best awards, had a good show. The company has had success with its Ark of the Covenant sculpture and is now making a “very large” version of it as well as a Spanish version, Nizynski said. Abbey Press said the retailers who came to the show “came here ready to spend” and that the company was “pleased with what the response is with our product,” said Sue Ann Kloeck, director of trade marketing. Abbey’s “Blooming Blessings” kitchenware was its “No. 1 hottest seller” at ICRS. Crosses and mugs did well along with new professions gifts themed around careers. 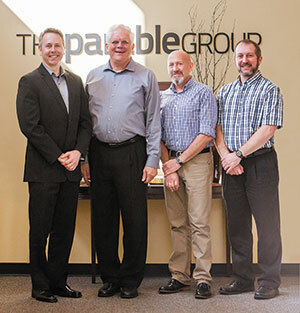 The Parable Group, provider of marketing services and real-time information and analytics, announced June 24 an agreement to provide analytics and enhanced insight for CBA and its members. Under the agreement, Parable will provide CBA members and CROSS:SCAN reporting stores with enhanced analytics through the ParableConnect data platform. This base-level data partnership will deliver many benefits to CBA member stores for free, enabling them to seamlessly store and process real-time transactional data. Parable currently powers data services for retailers affiliated with various marketing groups while safeguarding and protecting the integrity of retailers’ individual data. Data partners transmit data to Parable, which transforms it into actionable insights on ParableConnect—helping retailers improve inventory selection, drive more transactions, increase sales and optimize their marketing spend. Through the new partnership, CBA members and CROSS:SCAN reporting stores will receive enhanced analytics with zero expense but can choose to upgrade. Riskey said he is confident that security barriers and legal protections are in place to protect retailer data from being shared. Retailers had an opportunity to learn how to expand their customer base and increase traffic and sales during a special workshop at June’s International Christian Retail Show (ICRS) at the Georgia World Congress Center in Atlanta. 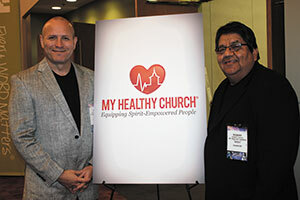 Fred Ichniowski, senior sales director, and Roberto Cortez, associate, both with My Healthy Church, led the “Attracting Hispanics to Your Store” workshop. Cortez greeted the attendees in Spanish to help stress the importance of knowing the Hispanic customer base, being able to communicate with them and the value of forging relationships in the community. Cortez encouraged retailers to make their Spanish-language product easy to find. The presenters also addressed communication, marketing investments, advertising and the resources that are helpful in reaching Hispanic customers, such as Spanish-language cable television. “As a retailer, every customer that walks into the store is an opportunity to make a sale, and the more sales you generate, the better off you’ll be as a retailer,” Cortez said. This is “The Big Opportunity” to reach a demographic that’s not being reached right now, Ichniowski said. “I think the industry as a whole needs to open their eyes and wake up to the opportunity that the fastest-growing segment of our society is in the Hispanic community, and that those folks are looking to be served, and inside that community, building relationships is the most important thing,” Ichniowski noted. “If Hispanics see they matter to you, they will shop your store,” Cortez said. 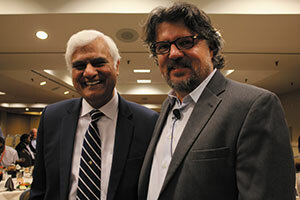 CBA honored author and apologist Ravi Zacharias at the International Welcome dinner Sunday, June 22 with the International Lifetime Achievement Award. This is the first time CBA has presented the award for international ministry. Guests from around the world gathered at the Hilton Atlanta for the International Christian Retail Show’s International Welcome program. Attendees took part in meetings that focused on networking, ongoing education and encouragement from top industry leaders. Zacharias presented the keynote message as part of the worship session. He challenged those in attendance to “Keep doing what you’re doing,” as he spoke about the importance of staying true to one’s calling and the value of impacting the world for Christ. CBA President Curtis Riskey welcomed international attendees to the luncheon and encouraged them. Gary Wilkerson, president of World Challenge—an international mission organization founded by his father, David Wilkerson—then spoke to a ballroom full of guests. As a worldwide leader, and lead pastor of The Springs Church in Colorado Springs, Colorado, Wilkerson presented a message titled, “World to Challenge” and urged guests to go out into the community and into the world. Ramon Rocha III, director of publisher development at Media Associates International in Carol Stream, Illinois, presented an afternoon training session. In his role, Rocha oversees training programs and helps publishers become financially viable. “The internationals bring such a global perspective to CBA that we wouldn’t have otherwise,” said CBA Board Chair Sue Smith. On the show floor, international rights meetings were active. “From an international perspective, we’ve been really busy,” said Jason McMullen, director of ministry services and publishing director of the Modern English Version Bible. The United Methodist Publishing House (UMPH) announced July 11 the purchase of the Lake Front Office Park in the MetroCenter business district in Nashville and is in the planning stages for a major renovation of the buildings. UMPH paid $9.25 million for the property, which includes the estate of the late Tennessee Titans owner Bud Adams and investment company Corner Partnership. UMPH anticipates moving in 2015 to the new property, where its distribution center is already located. The current headquarters building and adjacent properties occupying more than seven acres across from the Music City Convention Center has been divided into four parcels, two of which have been sold. The third and largest parcel, the site of the UMPH headquarters building and parking lots, is under contract for a sale that will be finalized at the time of the move to the new offices. The fourth parcel is being retained as a parking lot. Alexander recently announced his plans to retire. The UMPH board is looking for a new publisher in what is expected to be a two-year process. BroadStreet Publishing Group has announced its partnership with U.K.-based Authentic Media, a division of Koorong, a Christian retailing and distribution company based in Australia. Newly formed BroadStreet is led by Carlton Garborg, former president of Summerside Press and Ellie Claire, along with Jerry Bloom of Publisher’s Factory Outlet and Paul Bootes of Authentic Media. The company’s focus is to create meaningful, inspirational products that share God’s truth with quality, beauty and creativity. BroadStreet will publish nonfiction, fiction, a new Bible translation and a line of content-driven journals under its Belle City Gifts imprint. Fall book titles from BroadStreet include Falling Into Heaven, Bloodline and Mountain Man, the latter from a regular on A+E’s Duck Dynasty. Bill Greig III, former president of Gospel Light, and his wife, Rhonni, are resetting their direction with an innovative new publishing company called Churchgrowth.org, which is also its domain name. This transition came about as the Greigs sensed a shift in this season of life. 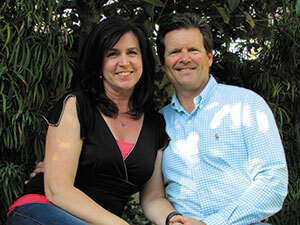 Bill took a sabbatical from Gospel Light in 2013 to consider the couple’s future direction. Going through multiple transitions, not the least entering the “empty nest” stage of life, the Greigs sensed that God was shifting them into a new season. Bill believed that God was leading him to leave Gospel Light—a company founded by Henrietta Mears and handed down to his care from his father and grandfather—and to implement a new virtual-publishing model with a new team in place. Confirmation came when he presented his ideas to Rhonni, and she told him of a dream she had had a year earlier of a virtual publishing company with limited infrastructure, but with significant impact found by combining new technology and social media with the truths of the gospel. Bill was reminded of a ministry based in Forest, Virginia, in the Lynchburg metro area, Church Growth Institute (CGI), founded by Larry Gilbert. After initial inquiries, the Greigs found elements of their new publishing model already in place at CGI—a strong mission and position in an important market niche, foundational biblical resources used by thousands of churches, a value proposition that allows customers to choose between “free” and “premium” resources, more than 5 million users of the “Team Ministry” Spiritual Gifts Inventory, over 700,000 customer email addresses, a leading web domain and a profitable e-commerce store. CGI’s missing elements were a trade strategy and a distribution partner, as for 36 years, its resources had only been available through direct sales to churches and individuals. “When I saw how Churchgrowth.org was connecting their resources with their end consumer, I saw the potential for God to use these systems, with some upgrades and fine tuning as well as partnering with wtrade distributors and bookstores to reach many more churches and individuals,” Greig said. With the new company in place, all ChurchGrowth.org resources are available to trade accounts through Advocate Publisher Solutions at Send The Light Distribution. Retailers can find more information at ChurchGrowth.org/Trade. The primary trade strategy for the Churchgrowth.org relaunch is to update the best-selling “Team Ministry” spiritual-gift resource line with expanded editions and formats that work best in bookstores. Five new products in the line are expected to ship in December with a Jan. 1, 2015, publication date. The Greigs have embraced their new assignment as co-owners and partners. “It has been a year of trust, faith and experiencing God’s unmerited favor as we have leaned into this new endeavor with Christ as our foundation and sustainer,” Rhonni said. Bill sees a bright future for the company. Lisa Wingate has published more that 20 books, but never has she dreamed the entire plot of one of her novels—until The Story Keeper, that is. Her newest novel with Tyndale House Publishers is out this month and promises as much emotion and drama as The Prayer Box (Tyndale, 2013), which was one of her two Christy Award nominees this year. Wingate, who lives with her family in Texas and makes her own prayer boxes (to hold prayer requests or favorite scriptures), is no stranger to writing novels. Her first, Tending Roses, was published in 2001 with New American Library (NAL)/Penguin Group USA and is now in its 21st printing. Its first home was in ABA stores, but these days it’s also carried in Christian retail stores as a Penguin Praise title. Sales are at about 200,000 copies, Wingate said. Nearly 15 years ago, when Tending Roses released, it was brick-and-mortar stores such as Barnes & Noble selling the book to readers who were “looking for gritty novels with a faith element, and a lot of readers wanted that.” Wingate has sold more than 1 million copies of all of her titles since then. These days the author “loves being an ambassador for Christian fiction” and is eager to meet readers at signings and share her story. Christian retail stores have helped to boost sales of Wingate’s books. Tyndale is eager for readers to discover Wingate, who also has been published by Bethany House (Baker Publishing Group). To increase awareness ahead of the release of The Story Keeper, another of her Carolina books, Tyndale offered The Prayer Box at a deep discount. The company included the first chapter of The Story Keeper in the $5 copies of The Prayer Box and promoted it through marketing group catalogs. Stores such as the two Kregel Parable Christian Stores in west Michigan took advantage of the promotion. The stores sold 40 copies in June and 35 in July, plus ordered ahead. Fleming, who stocks all of Wingate’s books, plans to reserve feature space for The Story Keeper when it releases. “She’s a very good writer, and we want to get her name out based on previous purchases and reader recommendations,” Fleming said. Wingate herself participates in “The Sisterhood of the Traveling Book” campaign, which takes place several months prior to the release of each book. Early copies of the book travel around the country in “Sister Circles” of readers, who interact on the Sisterhood’s Facebook page, get acquainted via email and leave their thoughts in the margins of the shared books. Wingate is also going on a seven-state book tour that will include church, community and store events. CBA retailers will sell books at some of the events. Family Christian, Mardel, LifeWay and Parable Group stores all do well with Wingate’s books, as do a number of ABA retailers in the Outer Banks, North Carolina, where her Tyndale books are set, and at SIBA (Southern Independent Booksellers Alliance) stores in Texas and across the South. Tyndale has purchased targeted online media that reaches previous buyers of Wingate’s books and Christian-fiction buyers. She has released two e-books, both tied to her Tyndale titles. The Sea Glass Sisters is a prelude to The Prayer Box, while The Tidewater Sisters is a postlude. Stob pointed out that there are underlying themes to Wingate’s Tyndale books, though each can stand alone. Wingate has a third print book and a third novella under contract, and “we’re hoping to extend that,” she added. 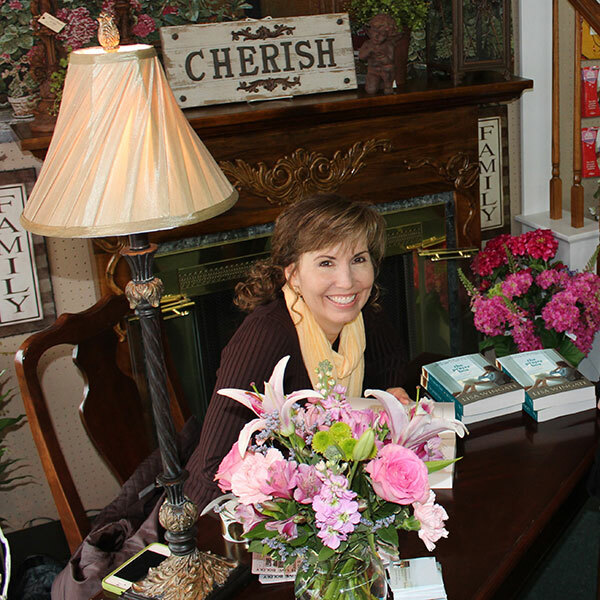 Wingate remains committed to finding and keeping her readers, especially those who shop at Christian retail stores. Convivial atmosphere—friendly retailers, vendors and publishers at the show. Many publishers were eager to meet and work with international companies. Meet the Authors of Our Daily Bread: The well-planned and well-advertised event gathered more than 500 guests. Plenty of high-profile authors to draw lines at book signings. Christian Fiction Trends—Interesting presentation and a nice touch to have authors meet directly with guests for a half-hour. To kids’ gift company Oodles World for introducing “His Armor,” a line of products for tween and teen boys, an underserved demographic. The line debuted titanium sports necklaces, carabiners, sports socks and other fun products. To Dr. Mary Manz Simon for 20 years of educating retailers on the latest trends in children’s products, for always recruiting lots of suppliers to send retailers home with free products and for receiving honors from CBA and Logos Bookstores. To Dusty Wells, senior vice president of national accounts for Word Entertainment, for 32 continuous years at CBA shows—and for still having every one of his name badges! To CBA for hosting several events that went beyond retailing, including a filmmakers summit and a pastors’ gathering in partnership with RBC Ministries that saw great attendance from the surrounding area. To Dr. James Dobson for receiving a Lifetime Achievement Award from CBA for his groundbreaking work through Focus on the Family and for his sense of humor as he posed with his life-sized standee on the show floor. To Affirm Films for creating a comfortable screening suite that offered groups of up to 20 retailers screenings of upcoming films, not to mention the fun take-home favors like T-shirts, mini footballs and snacks. To Good Works Make a Difference owner Helena Cho for making her CBA debut with wrap bracelets and soy candles that are fashion-forward, priced competitively and displayed on modern fixtures. Even better, the Los Angeles-based Cho donates 25% of her net profits to charity. Convention center location—Hall C was far enough away as to be a problem for some show attendees getting there at times. Shuttle service—Shuttle didn’t ever show up at one hotel supposedly on the ICRS route. Unattended workshops—The Selling Christian Rap workshop had no one in attendance--except two reporters. Too early? Too far from the exhibit hall? No interest? Overwrought security: Good security is crucial at a convention, but when security doesn’t let in ticketed attendees to events and replies with gruff “no’s,” perhaps it’s a bit too much. One new product showcase presented the history of Gospel Light. Where was the new product? To a couple of the Christian films that still look, well, pretty cheesy. Just because the door has opened at the box office doesn’t mean that we should subject the public to sub-par plots and production quality. For exhibit floor stages that were stuck in the corners of the exhibit hall. These stages offered everything from valuable workshops to award programs to fashion shows—and would have generated show excitement had they been placed in the middle of the floor. To slightly overzealous CBA workers who scolded children’s character Rippy for standing in the aisle just outside his booth. For poor social media promotion about the show. Correct hashtags and Twitter handles were not promoted adequately.